Last chapter in the epic Make A Bag series! And by "epic", I don't mean "longer than is sane", although that may be true, too. I mean "extolling her heroic attempts to write posts about fabric sacks while the rest of the house fell apart around her and everyone ate takeout pizza and oh, while she was also packing the entire family's summer wardrobe and enough gifts for half the civilized world in preparation for her trip to Singapore to see family, where she's now been soaking up the sun for the past 8 days already but nobody knew because she didn't even have the time to blog about it." Q Why no zippers? I thought you would be talking about how to install zippers! I can already sew bags in my sleep but I can't do a zipper without stitching my own finger! 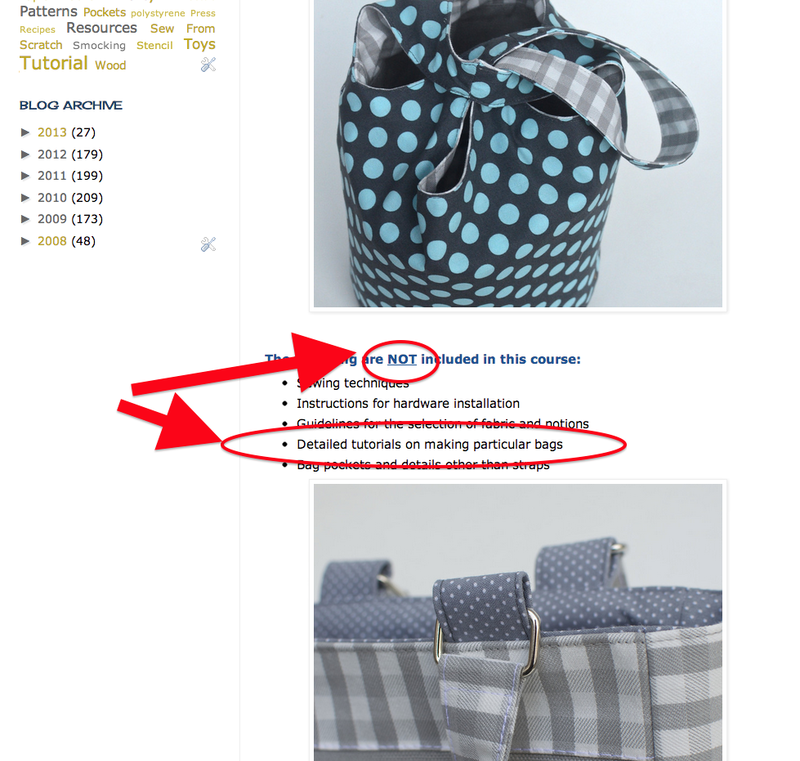 A Um, there are a lot of tutorials on the internet related to bagmaking and zipper installation. I don't like to reinvent the wheel because I feel that it takes credit away from the folks who put in all that effort to originally invent it. Go put your googling fingers to work. Q Why no pockets? You didn't put any pockets in your bags. When I make bags, I need a pocket for each shade of lipstick I carry. And my lactation-expression device. Plus a secret stash of Marks & Spencer's rich tea biscuits. A You want pockets? I'll give you pockets. See here and here. Then there is the cargo pocket, like this one on Jenna's backpack or this one on Emily's, which is the bag pocket I get most asked about. I didn't include it in my 25? 26? pocket series above because it isn't a pocket I use for clothes. And because the cargo pocket isn't a technically exciting pocket the way the welt-pocket-with-flap one was, so I wasn't interested in doing a tutorial for it. It's essentially a narrow-width gusseted (Jenna's pocket) or darted (Emily's pocket) pouch with one whole face missing, sewn onto the actual bag. Depending on the sort of opening you want for your cargo pocket, you might include a zipper, a flap with velcro/buttons/snaps or just leave the top edge open. Q What sort of details can you put on bags? I'm new to bagmaking. Well, okay, I made a simple tote bag using some free blog tutorial and I'm thinking I'd like to spice it up a bit because it's quite plain. Q Speaking of piping- why no piping how-tos? You go on and on about piping and you never show us how it's done! A: That's what bag patterns are for. Good patterns don't just give you a template and a few steps on how to sew straight seams and add a fabric flower. They teach you bagmaking techniques. Some of these are unique to bagmaking - installing a recessed zipper, for instance. Some are general (meaning that they feature in other sewing genres, too, like garment-making) - e.g. 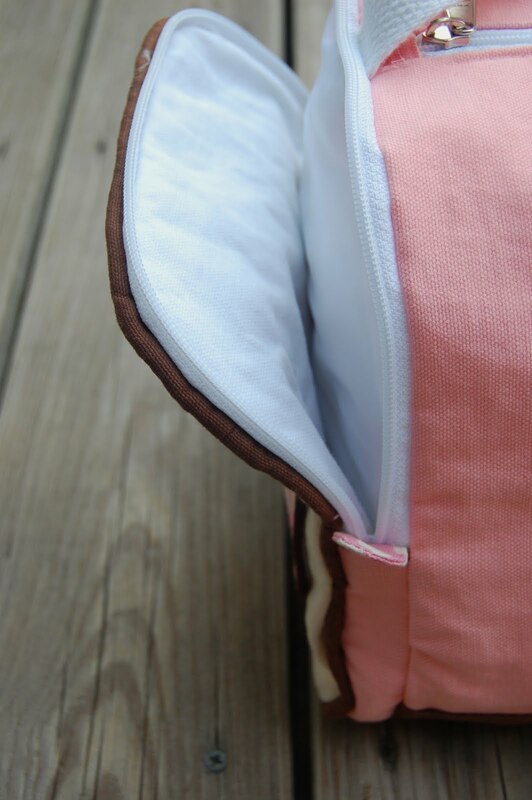 piping, how to add interfacing so you sew only in the SA, for instance. However - and only because it's already been written - you might enjoy this tutorial I did for Sew Mama Sew. Lots of obvious piping instructions there. Q It seems like there could be a lot of layers to sew through when making a bag. And some fabrics are themselves thick, on top of that. Can my sewing machine handle thick fabrics? Use a denim/jeans needle. It's good for sewing through thick layers without skipping stitches. Find out if your sewing machine has a mid-position lever for your presser foot to accommodate thick layers. I've been sewing with my machine for yonks and only just discovered mine last year. Read about it here. Q Where to buy interfacing? Fabric? Hardware? A In shops. I'm serious! Go to physical stores if you can, so you touch these items and judge for yourself whether the weight or size or feel is right. An added advantage of going to physical stores is bringing in an actual sample of something you want and asking the salesperson for it. I do it all the time, even with large objects that I can't hide in my purse. This way, I don't actually have to learn the names of the things I want and can continue to blissfully refer to them as "plastic spaceshuttle looking thingies", "crumply parachute cloth" and "buckram but not really for clothes stiffy thingamabob" before actually coming into possession of them. If you can't get to an actual shop, try online, which saves you walking time and petrol, er, I mean gas. The downside is you'll have to actually learn the names of the kinds of fabric or hardware- good luck with that. Q What's the most challenging bag you've made? 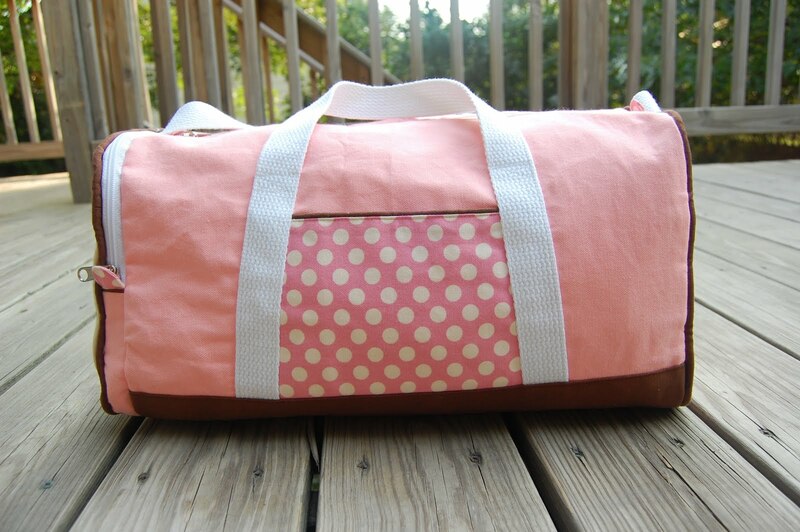 It's just a duffle I made for Emily some years back. except that I wanted to see if I could make it without any exposed seam allowances, so that every single part of it, including the pockets, was lined. It was just some daft personal challenge thing. I did it, by turning it RS out through multiple holes in the linings of various sections of the bag in sequence. If I'd done it the commercial way - sew the layers together and then bind the seam allowances with bias tape on the WS of the bag, it would've counted as an Easy Project. But then, where'd have been the fun be in that? To this day, I'm very proud of this bag because of how I didn't give up while making it. Most people wouldn't think it to look at it, because it doesn't appear particularly challenging technically to make; only I (and whoever I brag about it to) know what actually went into it, which makes it all the more satisfying to be privately proud about. Q Why still buy bag patterns? For the dimensions and the guarantee (one hopes) that the templates are tested to fit each other and are the right curviness etc. You're paying for the hard work that the pattern designer puts into fine-tuning the accuracy and precision of the templates. Parts need to match, numerical computations need to be right, proportions have to look good - all these are the behind-the-scenes elements of writing a pattern that have nothing to do with the pretty fabric the beauty shots eventually showcase. You'd buy a pattern just so you don't have to do the Math, wouldn't you? Hey, I'd buy a pattern just so I don't have to do the Math. For the special features - a fancy closure, straps that you've never seen before, the incorporation of bag hardware that are new to you, the magic pleats that transform the bag into a mermaid tail or whatever. You want to know how that magic happens so you buy the pattern. For the new techniques - piping, interfacing, waterproofing, mitering corners, zippers. These can be transferable to other sewing projects- garments, toys, slipcovers etc. You've always wanted to know how to reverse-applique, so you pay for a pattern that promises instructions for particular techniques. This way, you get to make the project and add a transferable skill to your sewing repertoire for future projects. For the design and adaptations. Some bags are just gorgeous. You'd never be able to design it yourself even if you had an IV infusion of molten nutella shooting straight into your frontal lobe, so you buy the pattern. QED. Q Why make bag patterns? A Because there will always be people who want to buy them, duh. My plea to bag pattern designers, though: raise the bar. Please (and I include myself in that appeal). Respect your buyers - know that they are discerning and that they have seen many tutorials and patterns out there in their search for the Next Great Handmade Gift For Christmas. They're comparing prices and features and reviews. When you make a bag pattern, you invest a ridiculous amount of time and energy into producing it. You will not want to sell it for $1 because that would have been a waste of your time and an insult to your integrity. But you cannot sell it for $10 if it's just a pattern for a plain flat tote bag. People will not want to buy it even if it's $1 because they can just as easily find a free tutorial online for it. It has to be more unique than that. And no, just because you showcase it in designer fabric does not make it more unique. More regular people make bag patterns than clothing patterns because they don't have to worry about size grading and fit. That's another way of saying that it's a buyer's market out there as far as bag patterns go, so make yours count. Q So which do you think is easier- garment sewing or bag sewing? A Because I learned to sew as a process of first drafting, then sewing (I never learned to use commercial patterns- so fail), I have to answer this in two parts. I'm also going to answer this in reference to the kinds of garments and bags I've made. A person who's made different kinds of garments and bags may obviously have a different opinion. As far as pattern drafting goes, garment pattern drafting is much more involved than bag pattern drafting. There are a lot of issues in garment drafting that are thankfully absent in bag drafting - fit, drape, ease, curves, movement, for instance. Bag pattern drafting is for the most part just geometric shapes that fit stiffly together. Sizing up or down a bag pattern is as straightforward as proportionally increasing its lateral dimensions - you might even be able to do this on a copier machine! As far as the actual stitching goes, however, I think garment sewing is actually easier than bag sewing. In saying this, I am excluding specialty garments (like multi-layered coats). Thus, in general, garments involve easier fabrics to manipulate, many are unlined (making it easier and faster to finish), most are completed with standard straight stitches and fewer fiddly details or add-ons. 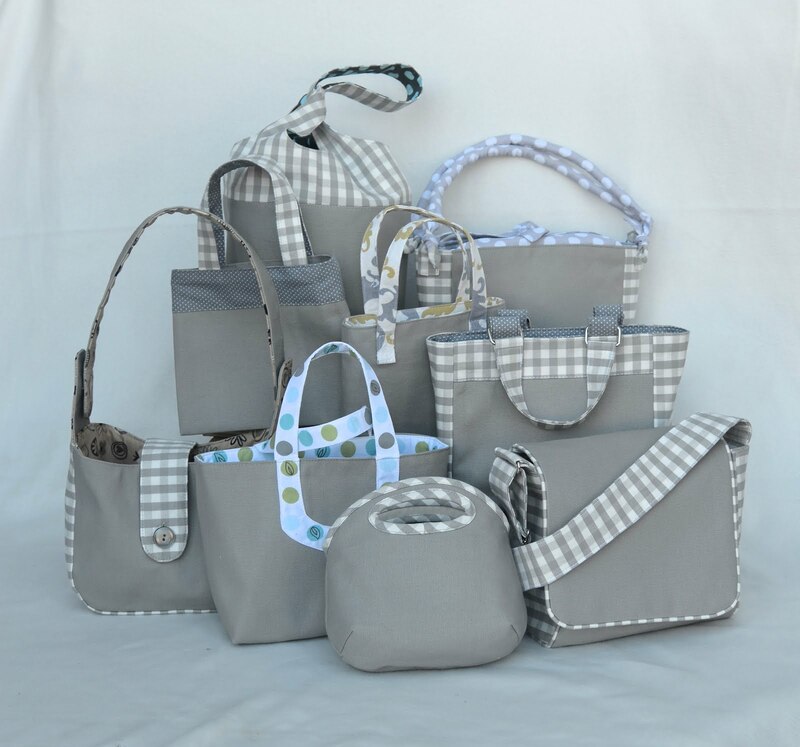 Bags, on the other hand, often involve heavier-weight fabrics, layers of stabilizer, hardware, multiple pockets, zippers in different styles of installation, inserts, piping and linings. All these require patient and skillful manipulation under and manoeuvring around the presser foot, especially if the layers are bulky and the overall structure is inflexible. 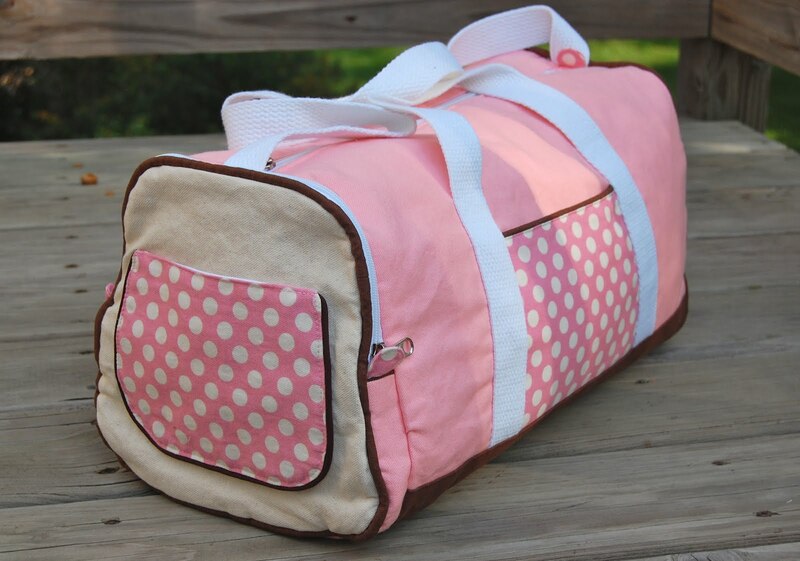 Q Are you going to post tutorials or share patterns for the various bags you made in this series? Like that bucket tote? See? Remember - the point of the series was to enable you to make your own patterns. 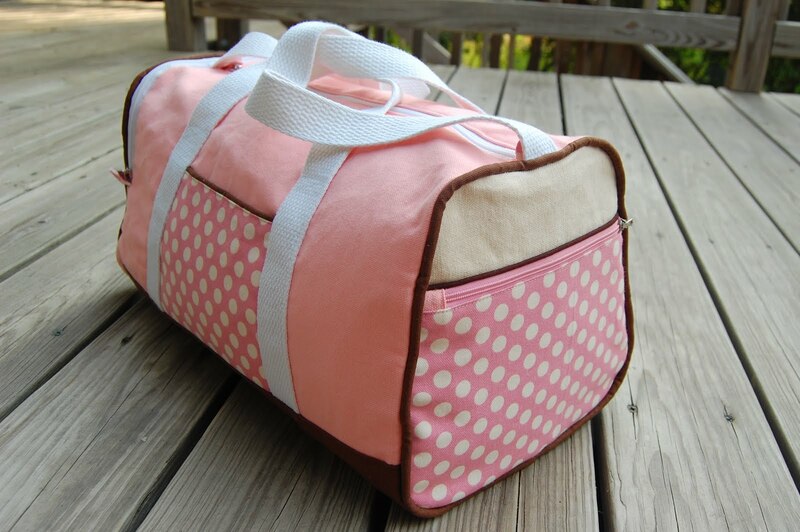 Handmade Beach Bag: Darted (see instruction step 7). Heart-Felt Bag: Darted (see instruction step 7). Whoa! Did you notice the obvious trend? Let me say that while I love handmade, based on the results of these two quizes, I have to say that the commercial bags are just more fun. The Make A Bag series is now over! Class is ended. Are your eyes unveiled? Do you see darts and gussets and bucket bases everywhere? If so, you now have The Sight. Well done! Go forth, design, sew and fill the earth with bags overflowing! I'm glad that I'm not the only person who thinks clothes are (for the most part) easier to put together than bags. Hopefully your series will allow me to conquer my bag phobia, very soon. Contemplating trying your drafting techniques on doll clothes (since dolls stay still for measuring). Good idea or bad idea? Good idea, MA! I made a sloper for the kids' 18" doll (it's not American Girl; I think it is the Target brand one) and use it to make clothes for the doll. Well, actually I've only made one dress so far, but it's a start, right? You are amazing and I so appreciate you taking the time to share your talent and knowledge! I feel so much more empowered now - and am so glad that this is a class I can refer to again and again because I definitely didn't absorb everything on the first go-around. I think I have to make a bag today. Thank you! Wow, thanls for all the hard work you have put in your explanations! This was such a brilliant series! Thank you so much for taking the time to do this for the average at home sewist like myself. Thank you again and hope you are enjoying your holiday, it's well deserved! Muchas gracias por todo, me encanta hacer bolsos y pienso que es más fácil un bolso que una prenda de vestir, claro que bolsos hago muchos y ropa poca. cuando consigues hacer un bolso que te ha costado mucho esfuerzo y muchas ideas, !Te sientes genial! Que bolsos y bolsas más bonitas. Me ha gusta mucho la gran cantidad de diferentes modelos y lo bonitos que quedan, aún siendo con la misma tela es una combinación estupenda. Thanks for all your hard work. I really enjoyed this series. Have fun in Singapore! Thank you so much for this series! I made your beautiful Bella bag a few months ago and loved it! I love all of the attention to detail in your descriptions and how to use each one! This must have been a ton of work, but it is so helpful!! Hizo usted un trabajo increíble .Tengo guardada su serie,La maquina que tengo no ayuda .Pero aprendí muchas cosas .Cariños.Feliz viaje. I just wanted to say thank you for taking the time to put this series up! You started this right when I was in the planning stages of trying to make a bag for my daughter to tote school work around with her. I am so glad your tutorial was available as I went to it over and over again throughout the process. Hope it's okay to share a picture of her with her new bag. Thanks to you there's another happy girl in the world! Thank you for sharing your photo, Denise! Your satchel rocks! Thank you LiEr for your generous series! I appreciate your hard work!! believe how beautiful and so well explain the how to make bags. In the beginning of learning how to draft neat sleeve (I'm an amateur seamstress who have sewn several clothes for family and a friend), I always referred to your sleeve detailed tutorial which is very helpful. I browsed your blogs and found bag tutorial yet never interested in bag making, until I saw cute DIY handbags on Pinterest. So, I decided to give it a go, making my own bag won't hurt. But, since I don't know nothing about it, I need a comprehensive guidance. I remembered your blog and here I am now. Once again I'm amazed of how comprehensive tutorial you provide. I can't say nothing but thanks so much. This series is your gift to mankind! Or is that bagkind? I jest. You rock! So many thanks for your seemingly endless kindness. You are very generous. In time, thought, and heart.